At TransCity Limos we believe in offering the customer the utmost in customer service with our limousine rentals. We pride ourselves on offering, not only the cleanest and luxurious limousine rentals available, but the widest selection of luxury limousines available as well. Plus, to satisfy your experience with our luxury limousines, every one of our limos is well maintained from the leather interior on the inside to the meticulously hand-waxed exterior. We are confident that we have a limousine that will meet your every need. When driving to and from in one of our Phoenix limos, we want to ensure that you are as comfortable as possible. This is why each and every one of our limo or sedan rentals has only the finest upholstery and interior. We take your expectations of a comfortable, luxurious ride very seriously, whether you are renting a wedding limousine, one of our birthday limos, prom limos or any of our other luxury limousines. While our drivers are the best in the industry, so are our vehicles. Our limos are built by the top coach builders in the country. TransCity Limos are maintained regularly by their appropriate dealerships. Your safety, comfort and satisfaction with our TransCity limo rentals is imperative to us. 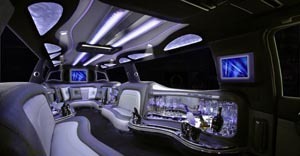 TransCity features some of today's leading limousines, suitable for any personal or professional event. 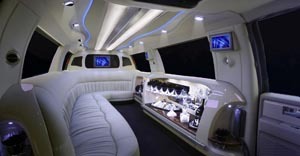 We offer a wide variety of limos so you can easily find something to accommodate your party. Prom night is special for many people, and it is always exciting to arrive in style. Our stretch limos are one of our top prom limos, offering advanced options, including blue tooth capability and touch screen controls. 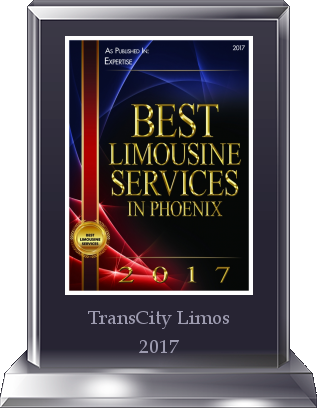 At TransCity Limos, we make the limo hire process easy and offer incredible features and amenities in each of our Scottsdale limos. The luxury features and professional service we offer will make your transportation hire a clear choice. TransCity limos includes a large number of car choices and exhilarating features. If a non-stretch vehicles is your style we've got them, as well as SUVs and sedans including the Cadillac Escalade, Lincoln Town Cars, Navigators and much more. We're out to make the limo hire process easy, and our state of the art cars will do just that. Learn more about what we have to offer by CONTACTING US NOW.